Please visit weddings and debuts at SM Megamall this February 16-18, 2018. 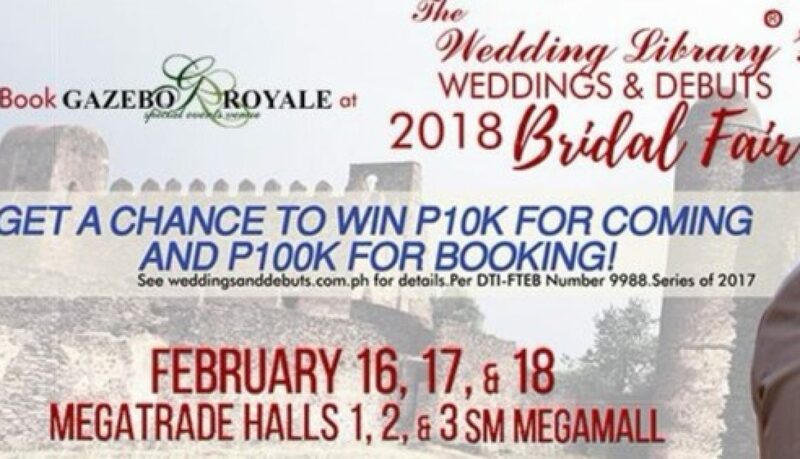 We invite clients to visit us at Wedding Library’s Weddings & Debut at the Megatrade Hall on February 20 to 22 and get a chance to win P100,000.00 when you book us for your event. See you there! To all our booked clients, we encourage you to visit us and make your payments at the fair to entitle you to a raffle coupon.